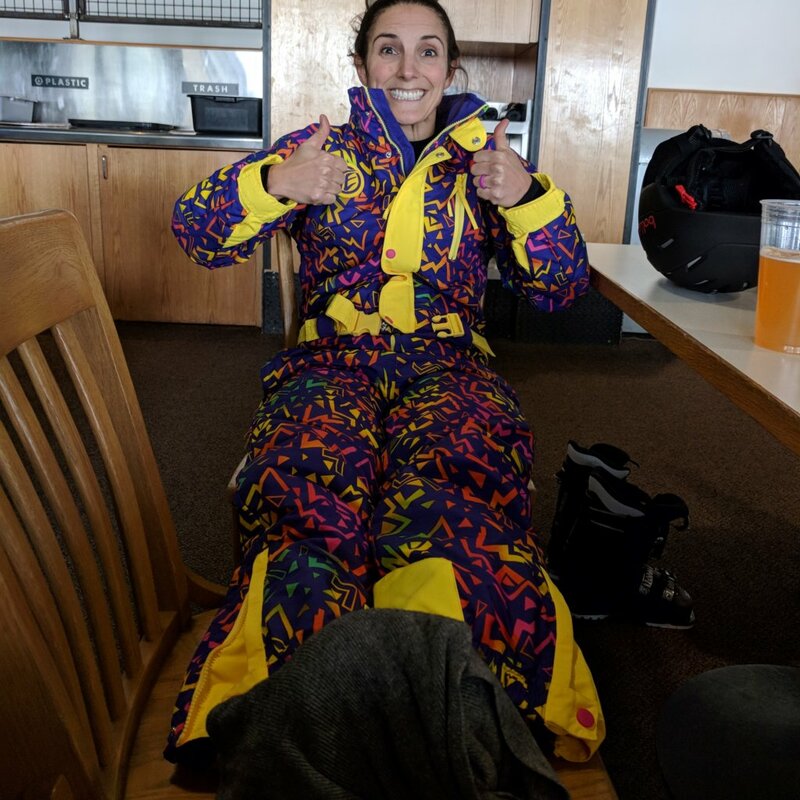 Last year we were skiing in Mammoth and my feet were numb. Every so often we would have to go into the ski lodge so I could take my boots off. My husband would wrap his scarf around my feet and hold them in an attempt to thaw them out. Then we would go back outside for a bit and start the whole process over. When we decided to go to Banff, Canada this year (Beautiful but COLD) I knew I needed to do something about it. My buddy had gone there the year before and got frostbite on his big toe and ended up losing his entire toenail (nasty). 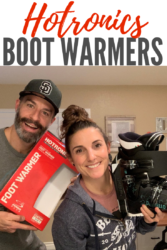 I asked around and the general consensus was Hotronics Boot Warmers. They came in the mail and of course they sat in the entryway for months. Well I am proud to say we are going to Banff next week and we finally opened and installed them! I am here to tell you step by step what to do! You can also watch my video Tutorial on YouTube by scrolling down or clicking here! 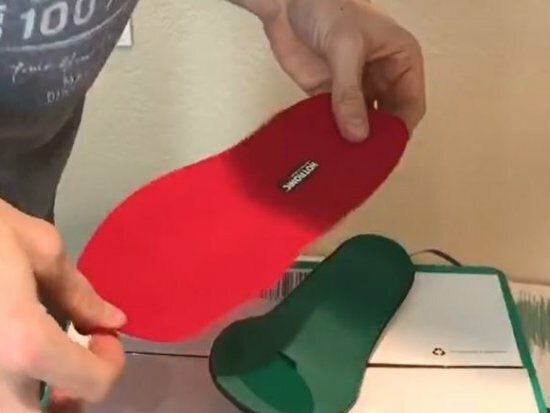 Place insole under your foot. Take the marker and make a dot under the circle and where the cord starts running down your foot. Feed heating mechanism through the hole. 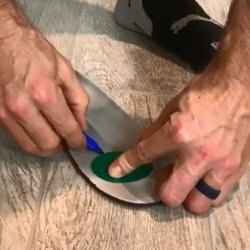 Peel off sticky backing from circle and stick down so it lays under your toes. 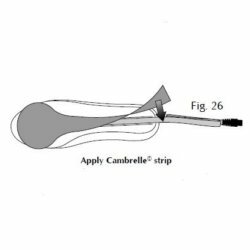 Take chambrelle sole, remove sticky backing and lay it over the insole. 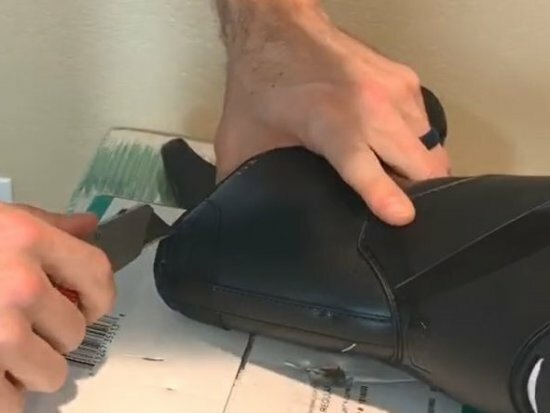 Take the scissors and cut off any excess material that hangs over your insole. Turn insole over. 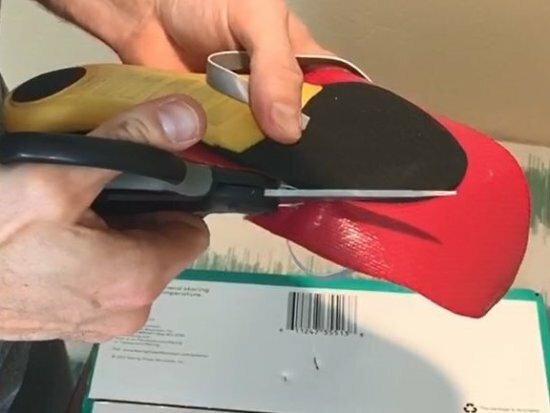 Make sure cord is laying flat against insole. Take chambrelle strip, remove sticky backing and apply it over the heating cord. Cut any excess material off. 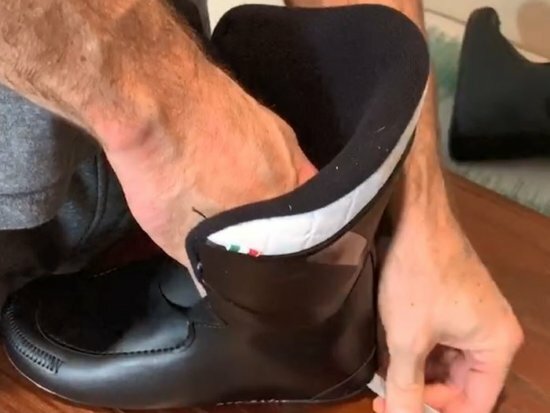 Put insole into boot and feed cord through the slit. Make sure cord is not tangled. Cut two strips of duct tape. Fold one in half so that the sticky side is now gone. Take the folded half and lay it down the middle of the other duct tape strip. 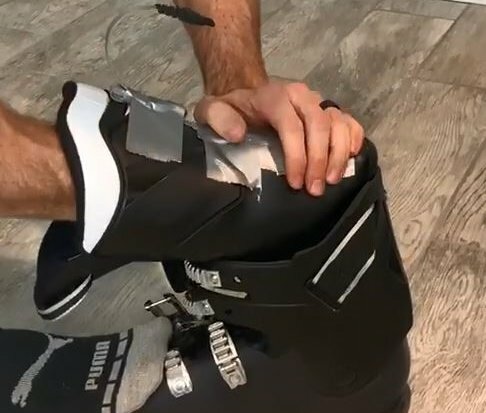 Use to tape down the cord on the back of the boot. Add additional horizontal duct tape strips to secure everything. If you are short like me you can fold the excess heating cord and tape it together. 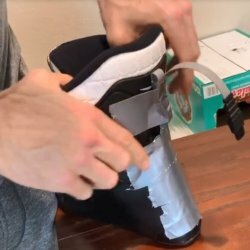 Put inner boot into outer boot. 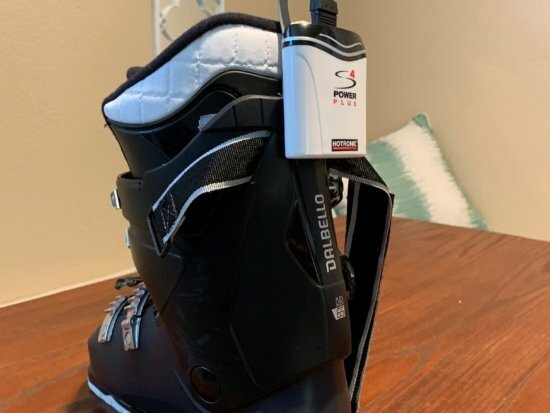 Clip battery pack onto back of outer boot and connect the heating cord to the pack. 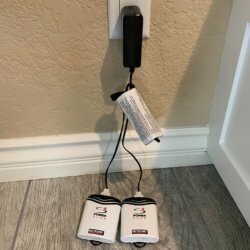 Plug charger into wall and charge the heating pack for at least 24 hours to charge fully. Remember to charge each night after use. 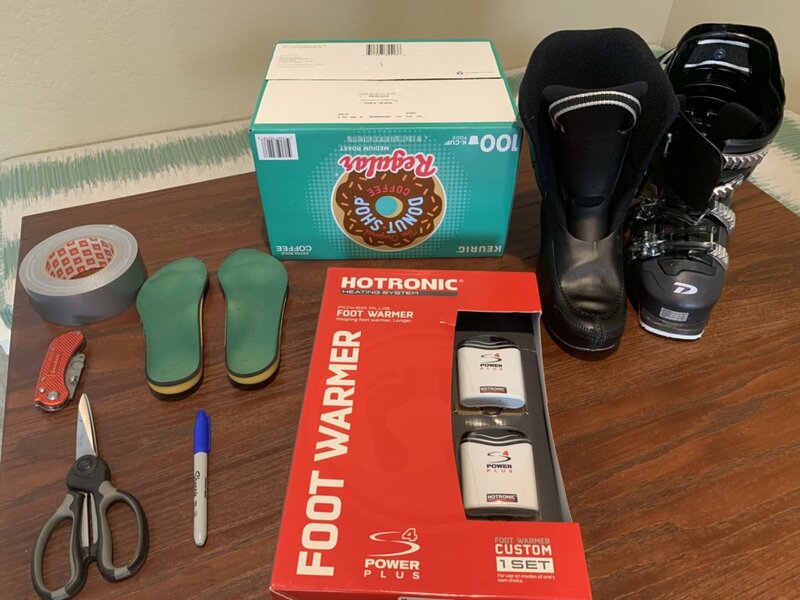 Can’t wait to use these babies and have warm feet while on the slopes! !